Our personal injury litigation practice is dedicated entirely to protecting the rights of the injured party. We have built our practice on the principles that people deserve a lawyer they can trust with confidence. We are recognized for our integrity and our commitment to helping people recover the maximum amount of money the law provides for their cases. That means working hard to investigate, gather records, reports and evidence, and prepare to win in court, if trial becomes necessary. We are a friendly, compassionate and supportive law firm, and opposing defense attorneys and insurance companies know that we mean business when protecting our clients' rights. 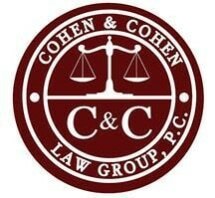 When you meet with attorney Albert Cohen about your case, he will provide a clear explanation of your rights and what the law may provide as a remedy for your injuries or loss. If we do not feel we can help you, we will not steer you down a path toward needless litigation, and will advise you of your rights at the beginning. We can also show you how to use state and federal laws to protect more of your settlement or jury award from liens. We handle all personal injury litigation matters on a contingency fee basis. If we are the right attorneys for you, and we accept your case, you will pay nothing upfront for attorneys' fees or case preparation. If we fail to help you recover monetary compensation in a settlement or trial, you will owe us nothing for our services. We will explain our contingency fee policies during your initial consultation. We have recovered millions of dollars on behalf of our clients — it will cost you nothing to learn more about the full value of your case.